Punnett's Square: Rapeseed Protein For World Population? 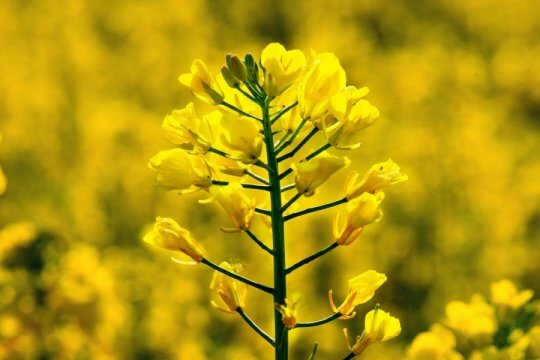 Rapeseed Protein For World Population? According to the Food and Agriculture of the United Nations, the demand for food will approximately double by 2050 due to the growing world population. Therefore, scientists all over the world are developing new plant protein sources for human nutrition. 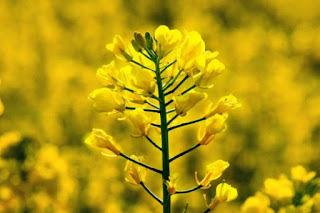 A food chemist Thomas Hofmann studied the benefits of rapeseed, in which he found that it contains high-quality proteins and many essential amino acids. However, humans are unable to consume rapeseed due to its bitter taste. Hofmann identified the compound called kaempferol 3-O-rhamnoside which makes protein extracts from rapeseed inedible. With identifying the compound which makes the high-protein containing rapeseed inedible, Hofmann is developing suitable technological processes or breeding strategies that can be used to produce better tasting foods from rapeseed. With the population constantly growing, I believe that developing ways to produce more food for future populations is highly important, especially when foods can be farmed and modified. Rapeseed is one of many plants that is currently studied for human nutrition. I actually think a lot about how food shortages are very possible, considering the rate at which the population is increasing. The bottom line is the population is already exceeding the carrying capacity of the planet. This is why the waters are so heavily polluted and we are experiencing climate change. If scientists do not find ways to quickly synthesize food this is going to become a big problem sooner rather than later. The thought of food demand doubling in time is very scary. At the rate we are at now, livestock farms and animals produce a considerable amount of greenhouse gases, and the harvesting of produce such as almonds are destroying land at unmanageable rates. Anything that can help us reduce the rate we are using resources is worth a try, and I'm happy to see that they are trying to make this taste more appealing so that we can have this type of plant as an alternative! Rapid population growth is indeed a very problematic factor that doesn't seem to be discussed all too often. I am interested in seeing whether the removal of the compound that makes this inedible works, and what the application could be. Hopefully this creates a positive scale of development!